The patent leather wedge shoes by London’s LK Bennet ($215) are the latest must haves for the summer. Originally called the Greta wedge, the shoes have been discontinued but the company has promised to resurrect the style in Kate’s name. The summer wedge look has caught in just a matter of weeks. Even Prince Harry’s on-again, off again girlfriend Chelsey Davy was indulging in some retail therapy recently by trying on a suede version of the sandals. 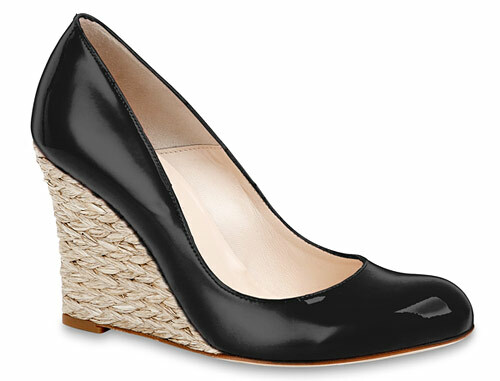 If you can’t find an LK Bennet store in your area, there are plenty of lookalikes like these Lanvin leather pumps styled with a woven wedge heel.